FROM THE EDITOR What a start to 2019, like everyone else its been busy busy busy and can you believe its April already? WOW! Another year is going to flyyyy!... My fave time is upon us... Easter! 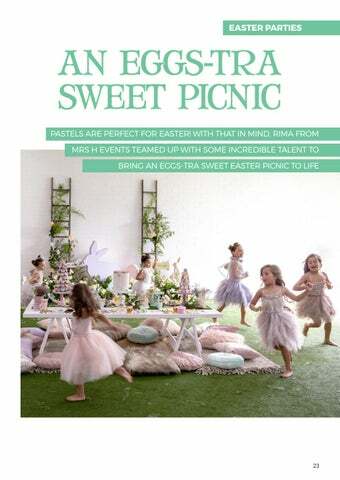 This mag is filled with not only some Easter goodness but also some other party beauties to inspire your next event! This year we have some exciting things in-store for you guys and we cannot wait to share it all. A huge thank you to our editorial and product contributors as always, as well as Maria, our Creative Director. We hope you enjoy Easter and school holidays! Slumber Party Braid Bar WHEN BRAIDS ARE LIFE, WHAT DO YOU DO? 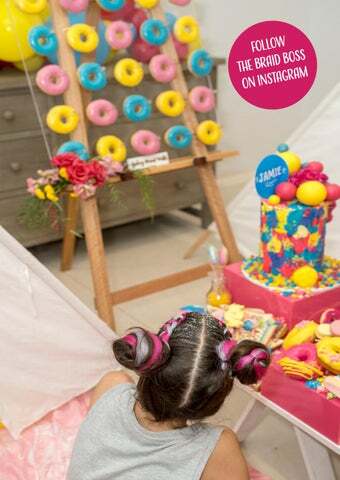 GET YOUR BFF'S TOGETHER FOR A SLUMBER PARTY BRAID BAR AND LOTS OF SWEETS! If there is one thing little girls love, it's slumber parties with their BFFs. Now team that up with a braid bar and a ridiculous amount of sugar and you end up with some very ecstatic young ladies! VENDORS PHOTOGRAPHY: ABSOLUTE FASHION PHOTOGRAPHY; BRAID BAR: THE BRAID BOSS; BALLOONS: FAVOR LANE PARTY BOUTIQUE; CUPCAKES, FORTUNE COOKIES AND CAKE POPS: CRUMBS WITH LOVE; DONUT WALL; SYDNEY DONUT WALLS; ACRYLIC SIGN ON DONUT WALL: PETITE DECOR; COOKIES: IMPERFECTLY PERFECT SUGAR COOKIES; TEEPEES: PETITE EVENTS HIRE; DESSERT CUPS: BELLA NOIR DESSERTS; CAKE: SYDNEY DESSERT CO; MARSHMALLOW CUPS, CHOC COVERED OREOS AND DECORATE DONUTS: MAMA TUCKS; FLORALS: SET IN SEPTEMBER; ACRYLIC CAKE STANDS: SOMETHING BLUE WEDDINGS; WELCOME SIGN AND FAVOUR STICKERS: PINK POM POM KIDS; FRUIT COOKIES: COSMIC EVENTS CONFECTIONS. 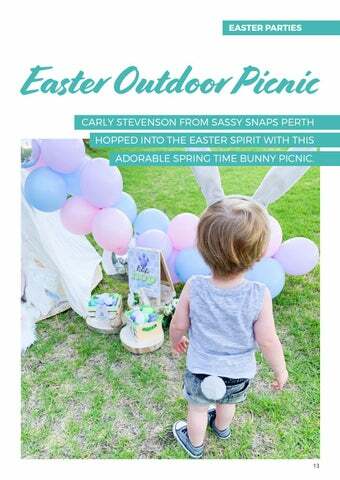 Easter Outdoor Picnic CARLY STEVENSON FROM SASSY SNAPS PERTH HOPPED INTO THE EASTER SPIRIT WITH THIS ADORABLE SPRING TIME BUNNY PICNIC. 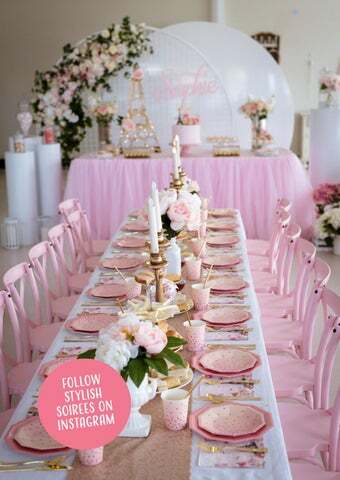 SOIREE FOR HER YOUNGEST DAUGHTER, SOPHIE AND WE ARE PINK WITH ENVY! 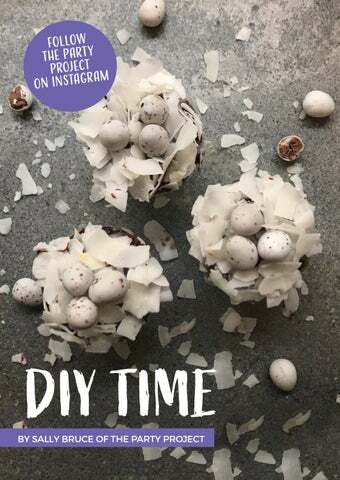 in games and in such a pretty setting, the girls enjoyed grabbing their milk bottles, even going for an extra 2 or 3, while indulging on their I wanted to create a soft, feminine and fun Easter chocolate Easter eggs. I would say it was a win for themed party, filled with lots of activities to keep all! the girls occupied and excited. When it comes to choosing a venue it is important to make sure it fits perfectly with your event, and I chose, The B- Space in Breakfast Point as this was the perfect space for us. With the venue having artificial grass, it created a perfect alternative to escape the rainy weather as this picnic definitely needed an outdoor setting! 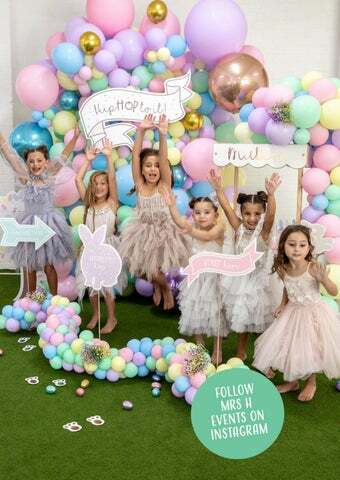 Being a lover of pastel colors, the soft, milky shade balloons were the inspiration, adding a little rose gold, teal, and gold foil balloons really complemented the soft pastel shades, giving it that EGGS-TRA look that is sure to be on trend. When it comes to a table setting, who doesn't love a little personalisation? 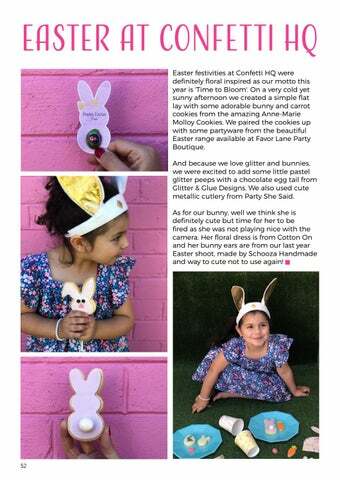 You can imagine the girls excitement, finding their name tags and personalised cotton favor bags filled with goodies. Any personalised item is sure to make anyone feel extra special, along with the cutest cutlery and pastel tableware sets, the adults wished it was their own party! A cupcake workshop really got the girls interacting together and some hands on decorating, enjoying and learning new skills. This sure kept them busy and happy since they could enjoy all the cupcakes that they had decorated. 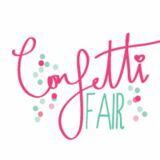 VENDORS EVENT PLANNER AND STYLIST: MRS H EVENTS; PHOTOGRAPHY: CAPTURED BY KIRRI; VENUE: THE B.SPACE; PROPS: LITTLE LUXE EVENTS; TABLEWARE: KF PARTY COUTURE; COTTON BAGS: COTTON GIFT CO; BUNNY EAR HATS: SCHOOZA HANDMADE; CAKE: CAKE FROM THE HEART; MACARONS: ONE BITE MACARONS; CUPCAKES: QUINCY LANE; FAIRY FLOSS: FLUFFY CRUNCH; STRAWBERRIES / PUFFS: DOMS STRAWBERRIES DELIGHTS; DONUT TOWER: COOKIE QUEEN KITSCHâ&#x20AC;&#x2122;N; LOLLIPOPS: SWEET PARTY POPS; CUPCAKE WORKSHOP: DECORATI; FRESH FLORALS: NC WEDDINGS & EVENTS SYDNEY; BALLOONS: DECK THE HALLS; BUNNY / EGG SILHOUETTE: FOAMWORLD AU; GRAPHIC DESIGN / PAPIER: EFSTATHIA CREATIVE; SIGNAGE PRINT: BAMBOO PRINTING; DECAL PRINT/FAIRY FLOSS LABELS: ENDLESS GRAPHICS; DRESSES: WISHFUL PLAYGROUND; AND HAIRDRESSER: JAZZ UP YOUR HAIR. 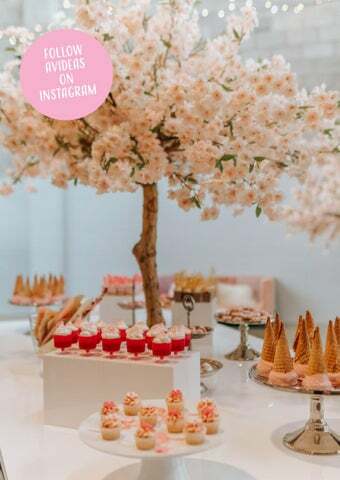 VENDORS LIGHTING DESIGN, FURNITURE & STYLING: AVIDEAS; VENUE: THE JOINERY; CATERING: CHEZ NOUS CORPORATE; FLORALS: STEM DESIGN FLORALS; CHERRY BLOSSOM TREES: NEXT EVENT; HAND-STAMPED LEATHER ROUND PARTY FAVOURS: KIND. SIR; PHOTOGRAPH: FAITH IMHOFF PHOTOGRAPHY FOR AVIDEAS; ELLA’S DRESS: MAMA’S HOUSE, BRAND BELLA & LACE; ELLA’S BOW: BOW BABY; AND ELLA’S SHOES: FAWN & FINCH. TOUCHES WERE FEATURED ON THE DAY. SURE ALL THE KIDDIES LEFT THE PARTY FEELING LIKE THEY HAD JUST BEEN TO A REAL-LIFE JURASSIC PARK! 2. Make up some royal icing in two bowls, one a toothpaste consistency for the outlines and the details and one a shampoo consistency for flooding the cookie. To colour the icing I use Wilton gel colours in green, orange and purple. Separate the flooding icing into 4 bowls, colour your icing and keep one white. Place them in icing bags as you go. Do the same with the outline icing. 3. Outline the vegetable with the thick icing, using orange for the carrot and purple and white for the turnip. 4. 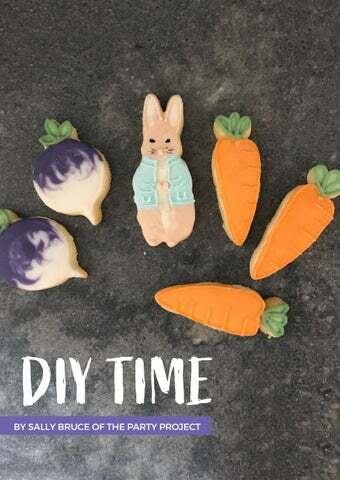 Fill in your carrot cookie with your orange flooding icing, popping any air bubbles with a toothpick. Fill in your turnip with purple and white. Take your toothpick and swirl the icing to blur the line where the purple and white meet. Then remove any air bubbles. Leave them to dry a while. 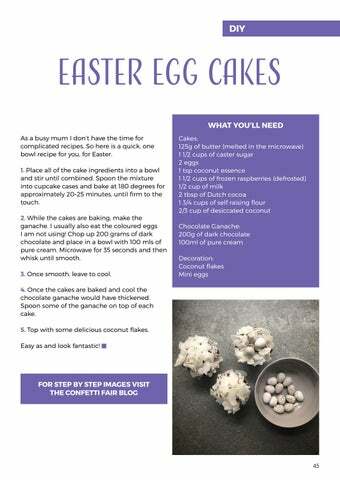 EASTER EGG CAKES WHAT YOU'LL NEED As a busy mum I donâ&#x20AC;&#x2122;t have the time for complicated recipes. 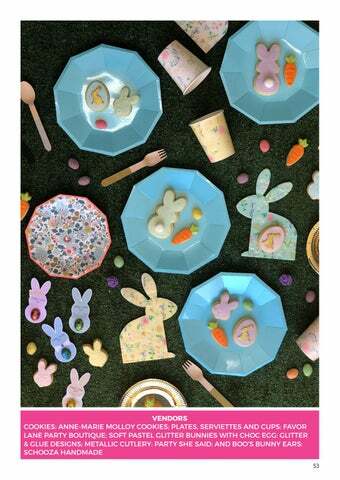 So here is a quick, one bowl recipe for you, for Easter. 1. Place all of the cake ingredients into a bowl and stir until combined. Spoon the mixture into cupcake cases and bake at 180 degrees for approximately 20-25 minutes, until firm to the touch. 2. While the cakes are baking, make the ganache. I usually also eat the coloured eggs I am not using! Chop up 200 grams of dark chocolate and place in a bowl with 100 mls of pure cream. Microwave for 35 seconds and then whisk until smooth. 3. Once smooth, leave to cool. literally colouring outside the lines on my baking creations balances perfectly with being a Detective. Two little girls under four years old later and I'm still baking and still bringing joy to my local community via cake! The Cars movies aren't about car races, they are about recognising true long-lasting friendships, slowing down enough to enjoy them and about how old-fashioned simple things are worth preserving and investing in. 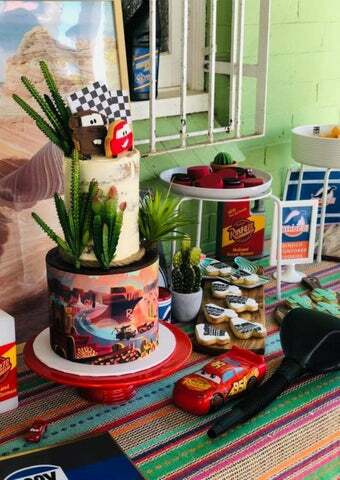 Creating these kinds of cakes and treats is me in my element â&#x20AC;&#x201C;my eldest daughter's 4th birthday was based on Disney Cars. I turned our backyard into Radiator Springs and we celebrated the quirks and importance of family and friends. This one got all my creative juices flowing and I just loved taking a traditionally 'boys themed' party and making it gender neutral. The look on her little face was so rewarding and instantly justified the several 3am finishes. EASTER ESSEN-TAIL Clockwise from top right; Easter Paint Your Own Cookie Sets from Sweet Treats By Jules; Easter mixed dozen dessert cups from Bella Noir Desserts; Bunny napkins and carrot plate from Favor Lane Party Boutique; Bunny cookies in egg carton pack and large cookie packs by Cosmic Events & Confections. Clockwise from top right; personalised HOP cookie pack by The Cake Nook WA; Pastel bunny ears from KF Party Couture; Easter Chocolates by Ruby Chocolates & Designs; Pastel Easter Bunny Sprinkles from Lovely Occasions; Sleeping bunny cookie pack by The Cake Nook WA; Mini Pastel Pearl & Confetti Balloons from Lovely Occasions; Grass bunny from KF Party Couture. 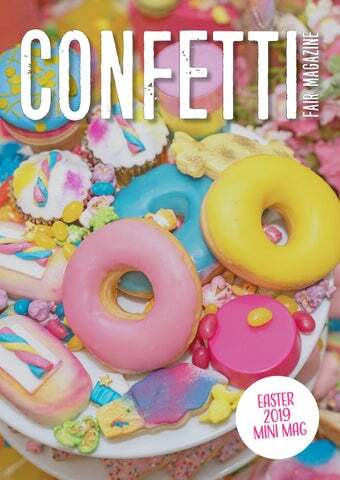 Easter festivities at Confetti HQ were definitely floral inspired as our motto this year is 'Time to Bloom'. 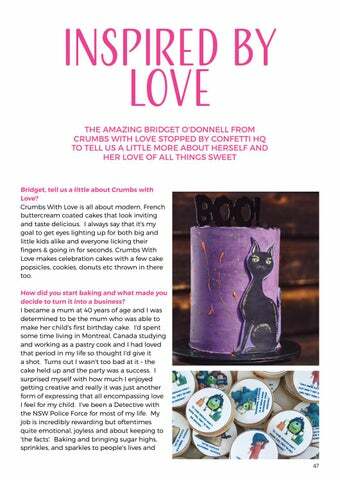 The amazing Bridget O'Donnell from Crumbs with Love stopped by Confetti HQ to tell us a little more about herself and her love of all things sweet. As a busy mum I don't have time for complicated recipes. 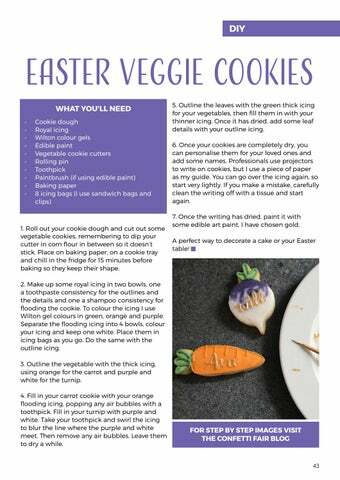 So here is a quick, one bowl recipe for you, for Easter. 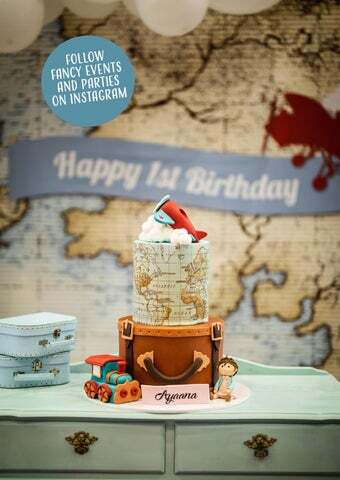 Guests were truly 'taken away' at Ayaana's around the world first birthday party. 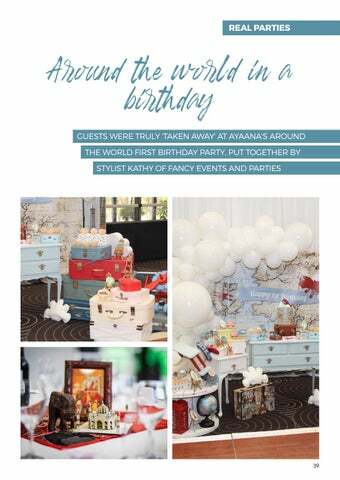 Put together by stylist Kathy of Fancy Events and Parties. 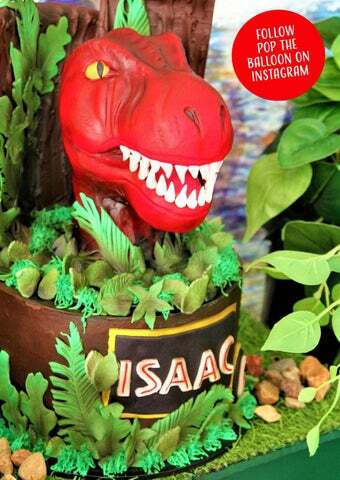 Isaac's love of dinosaurs was brought to life by the very talented Rochelle from Pop the Balloon! 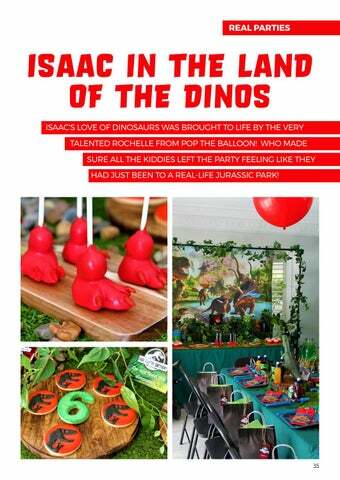 Who made sure all the kiddies left the party feeling like they had just been to a real-life Jurassic Park! 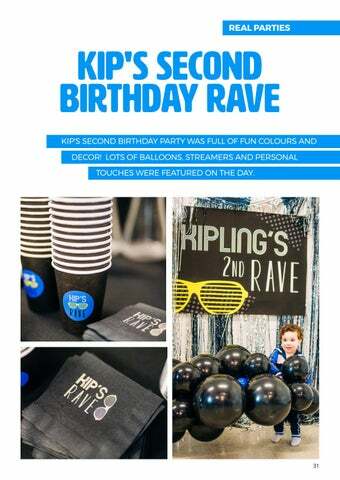 Kip's second birthday party was full of fun colours and decor! 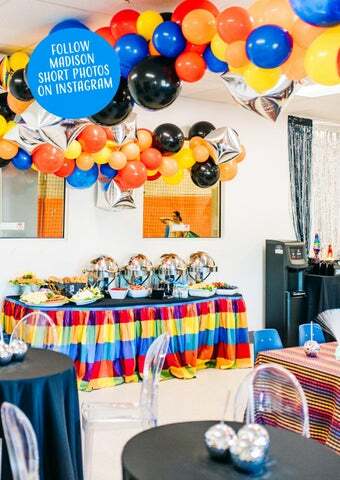 Lots of balloons, streamers and personal touches were featured on the day. 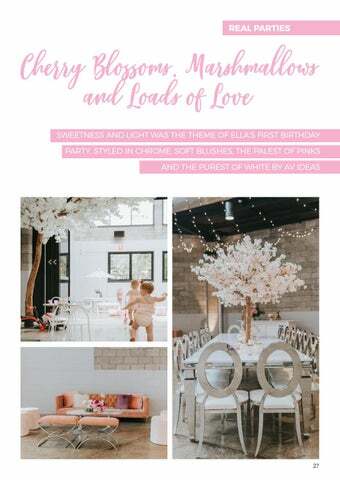 Sweetness and light was the theme of Ella's first birthday party, styled in chrome, soft blushes, the palest of pinks and the purest of white by AV Ideas. What's better than spring? Spring in Paris of course! 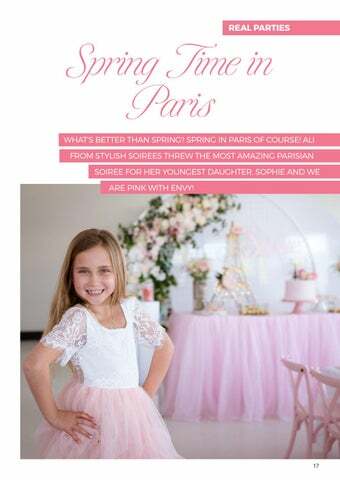 Ali from Stylish Soirees threw the most amazing Parisian soiree for her youngest daughter, Sophie and we are pink with envy! 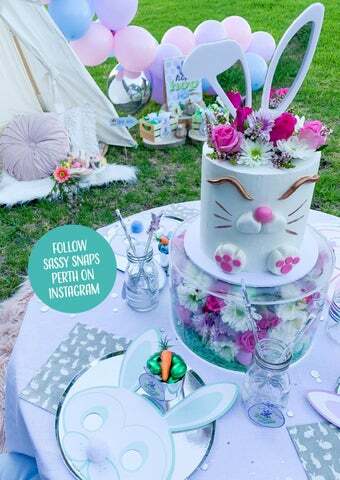 Carly Stevenson from Sassy Snaps Perth hopped into the Easter spirit with this adorable spring time bunny picnic. When braids are life, what do you do? 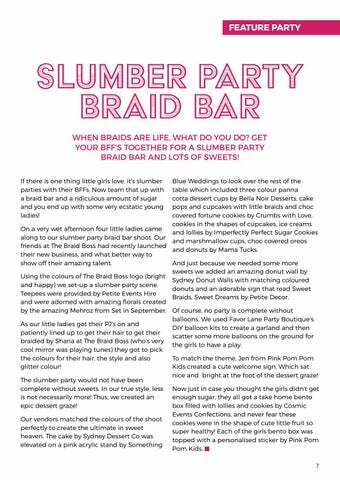 Get your BFF's together for a slumber party braid bar and lots of sweets!